Be honest with yourself and understand what you can actually spend, not what you want to spend. Choosing a good plumber as opposed to the most expensive tiles or other fixtures might be a better way to spend your money. Keeping on the straight and narrow could help avoid disaster. Are there elements you can take on yourself? A bit of painting, minor demolition that won’t have the rest of the house falling around you (safety equipment is a must!)? Go through your plan with a fine-tooth comb to scrutinize what is most important to you and will add value to your home then ensure that your budget reflects that. One of the biggest risks when renovating is running out of time. Set yourself a realistic schedule and find a reliable builder that can help you and understand how long things will take to bring to life, and what order they need to be completed in. Set out your schedule and be honest with yourself about if it’s realistic or not. While it may feel like your home builder is only telling you what can’t be done, remember they are the expert and they want to ensure that you finish your project feeling elated, not exhausted. 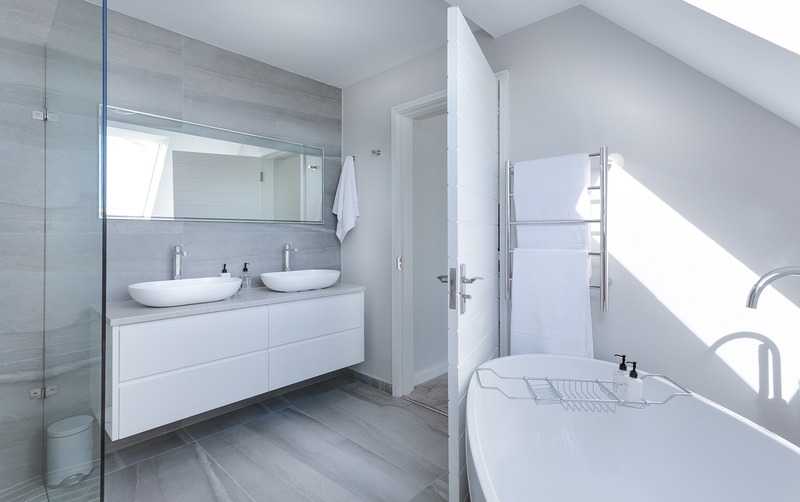 Choosing your fixtures and furniture in your new bathroom is one of the best parts! To ensure that you will love your bathroom for years to come, we recommend choosing the biggest investments first. Get your bath and larger fixtures in place, choosing more timeless options, then follow with the trimmings and final fixtures that will help bring out your own personality but can still be changed as you please. Don’t go out and buy a bathtub that won’t fit through the door of your bathroom! It sounds like the most basic rule, but many home builders in WA have anecdotal stories about challenges squeezing bathtubs, washing machines and mirrors through limited entryways. It’s safe to say that creativity and unfortunately, additional costs come with these challenges. Make sure you measure first and choose textiles or patterns that will make you feel comfortable in the space. Extremely busy tiling in a small bathroom may need to be reconsidered! It’s always risky when we are renovating parts of our homes. We want to add fresh style to the new parts, but it’s important to consider whether the rooms getting recent attention are still cohesive with the rest of your home. No matter how you choose to renovate or which room, we suggest that you think of the tones and textures that make you most comfortable in your home and then look to bring elements of these to each room, providing a well presented cohesive space that you and your family feel right at home in for years to come.